Click Here To See Sub-Mariner #23 Comic Book! Check out this very nice Sub-Mariner SPLASH from this GREAT title which was penciled by the great John Byrne, and inked by Bob Wiacek, from the story titled: "You Are Iron Fist . . . And You Are Not Dead . 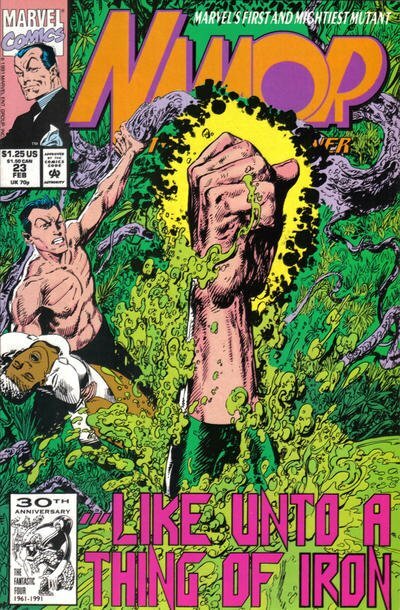 . ." This nice SPLASH features a HUGE image of Iron Fist fighting like crazy! 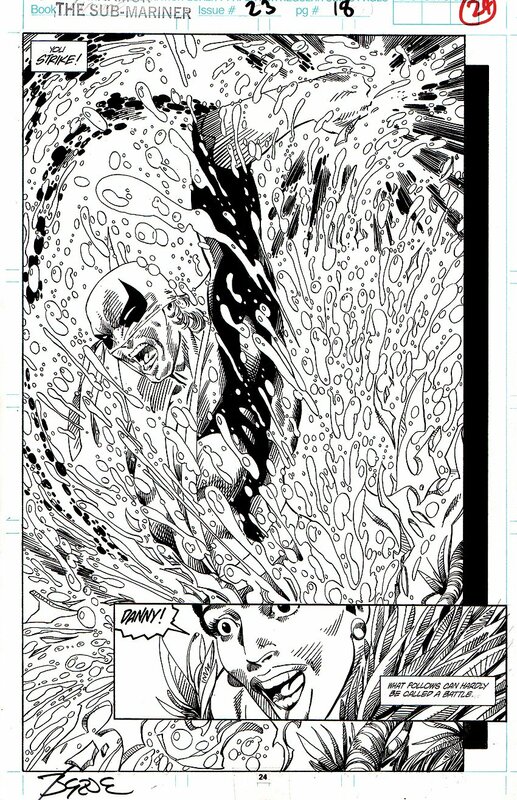 Just a great opportunity here to own a NICE John Byrne splash!